Regular readers of this blog know how much I love dragons, strong-willed heroines, and political intrigue. Stephanie Burgis has a series that combines all three exquisitely with the added bonus of frequent chocolate references. I am so pleased today to reveal the cover of the third installment of the series. Isn't beautiful? I love everything about it from the use of light to Sofia's expression and every detail in between. 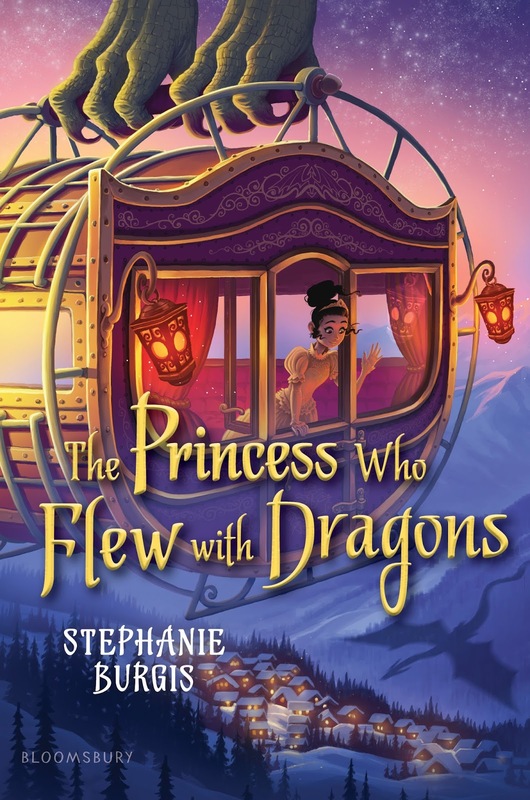 (I don't know how Stephanie always manages to have the most perfectly gorgeous covers for her books, but she does.) Peter Antonsson is the artist. Thank you Peter for gifting us with this. Perfect for fans of Shannon Hale, this girl-powered fantasy follows a smart young princess determined to save her kingdom. Princess Sofia of Drachenheim is sick of being used for her older sister’s political gains. At twelve years old, she’s already been a hostage to invading dragons and a promised future fiancé to a wicked fairy. Her only comfort lies in writing letters to her pen pal and best friend--Jasper, a young dragon whom she's never even met. When Sofia's older sister sends her on a diplomatic mission to far-off Villenne, she's meant to play the part of a charming, smiling princess. But when an accident leads to her exile from the city, Sofia is free to wander as she pleases for the first time in her life. And when Jasper's food-mage sister Aventurine turns him into a human boy, Sofia thinks life can't get any better. Until… the legendary ice giants of the north attack, trying to reclaim the territory that they lost centuries ago. With the dragons and royals frozen in ice, can Sofia and Jasper save their families and kingdom? 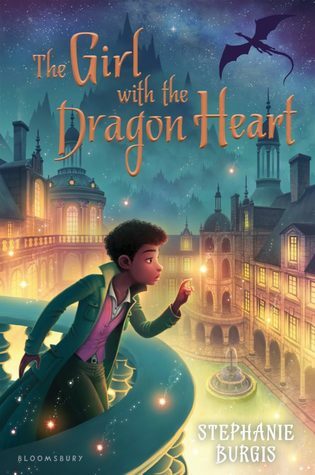 Another enchanting and strong-hearted fantasy, set in the same world as The Dragon with a Chocolate Heart and The Girl with the Dragon Heart. The first two books in the series are favorites of mine. 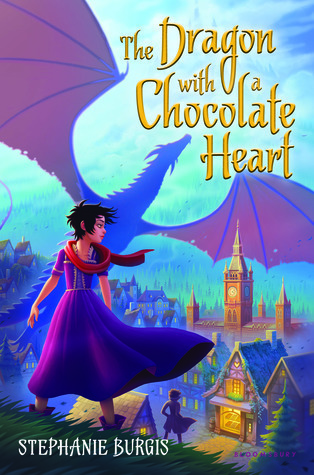 They are The Dragon with a Chocolate Heart and The Girl with the Dragon Heart. You have plenty of time until November to pick them up if you haven't! There they are all together. I can't wait until the new one is on my shelf with the others. I'm with Jenna: don't know how I haven't managed to gobble up book 2, but now I have even more reason to. Thank you for your blog, Brandy: i've been decidedly unexcited about books for a while, but now I can't wait to get to my library!